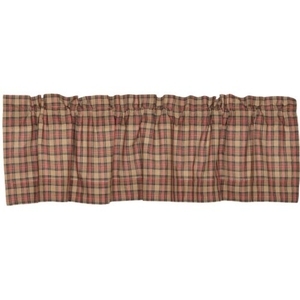 VHC Crosswoods Valance 16x60, Available Now! 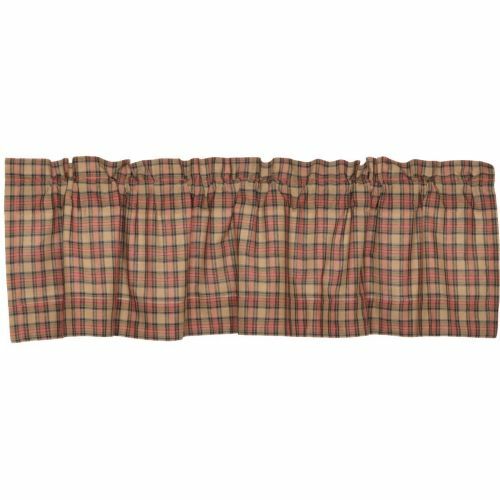 The Crosswoods Valance features a plaid inspired by floral themes from the bedding ensemble. Rosebush inspired soft-red and green effortlessly mingle among cool tones of blue, black, and tan for a delightful window dressing. Lined, 100% cotton.